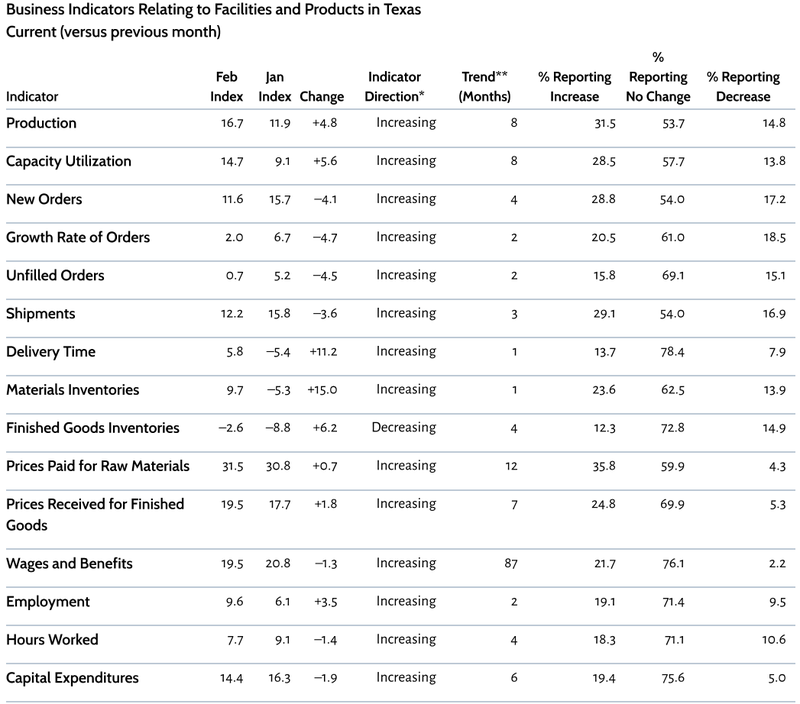 There are two new reports on the economy worth mentioning this morning. 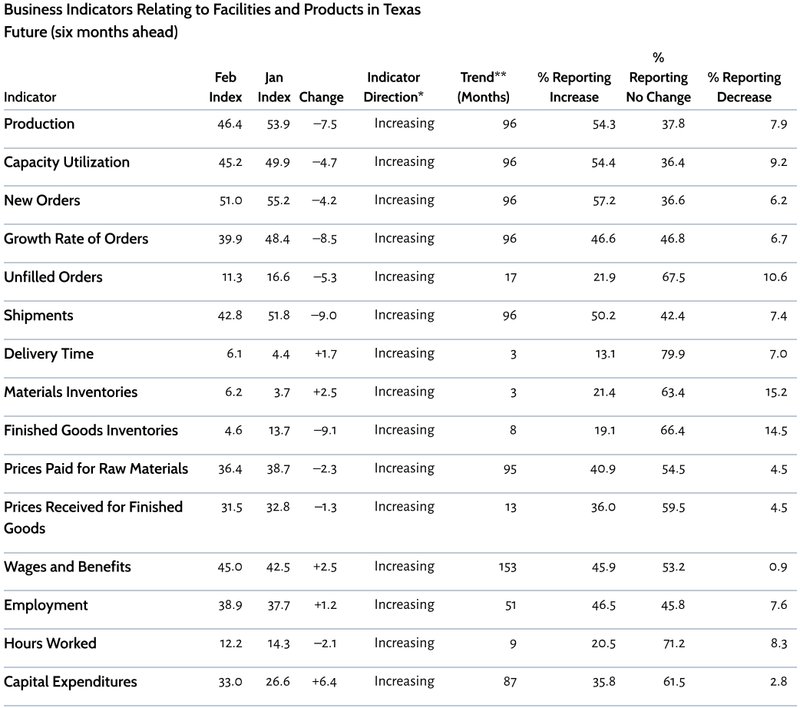 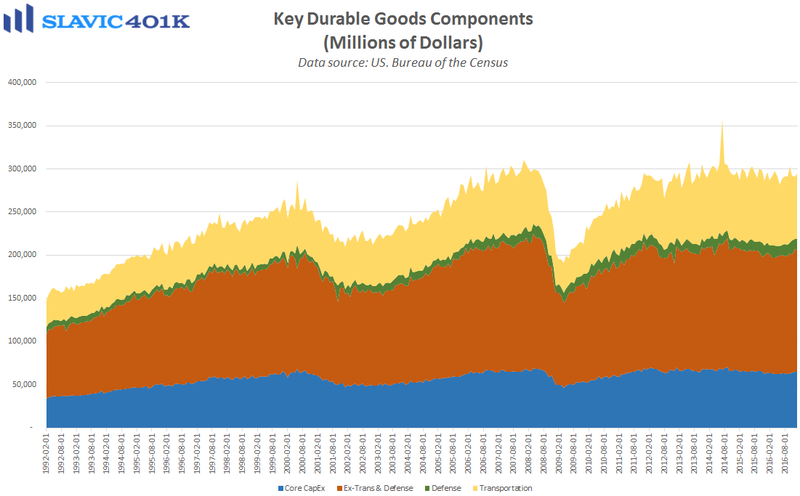 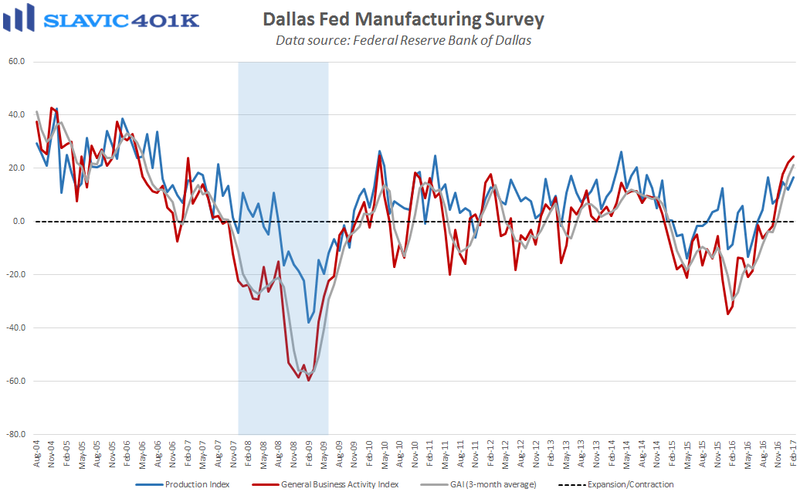 First, data from the Census Bureau showed that new orders for U.S.-manufactured durable goods (items meant to last at least three years) rose in January by $4.0 billion (1.8 percent) to $230.4 billion. 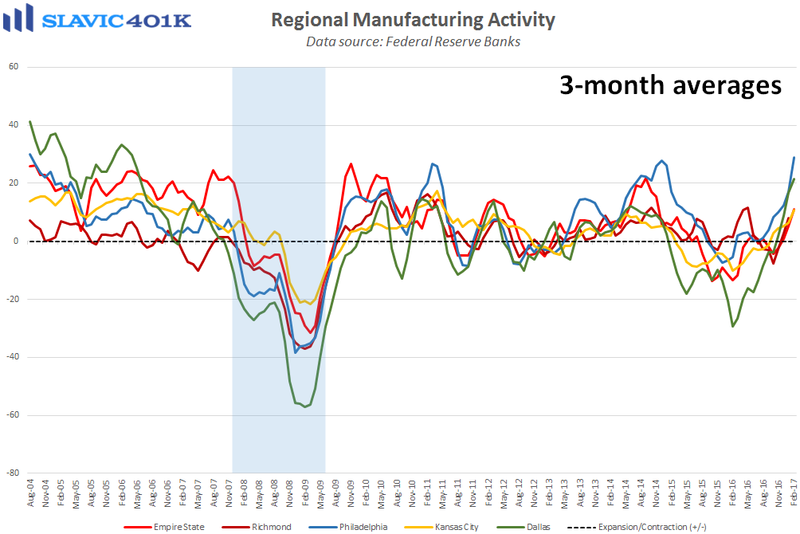 That was the first monthly gain since November but not enough to keep the year-over-year change in positive territory. 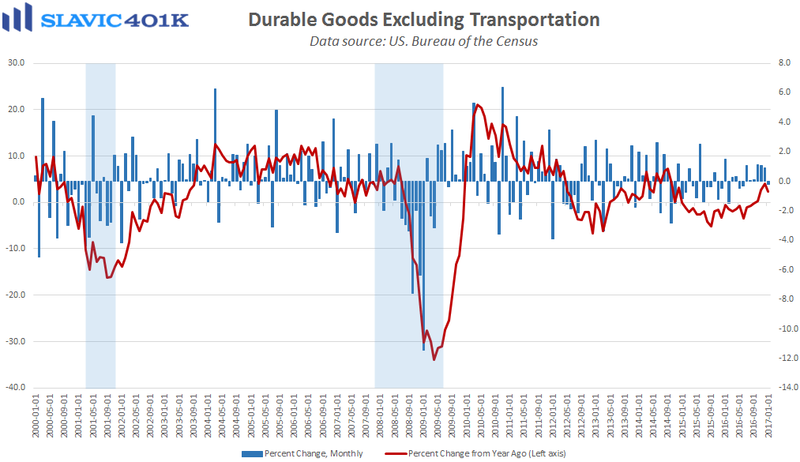 “Core” durable goods orders, which exclude the volatile transportation component, slid by 0.2 percent in January, much worse than the 0.5 percent increase economists had expected. 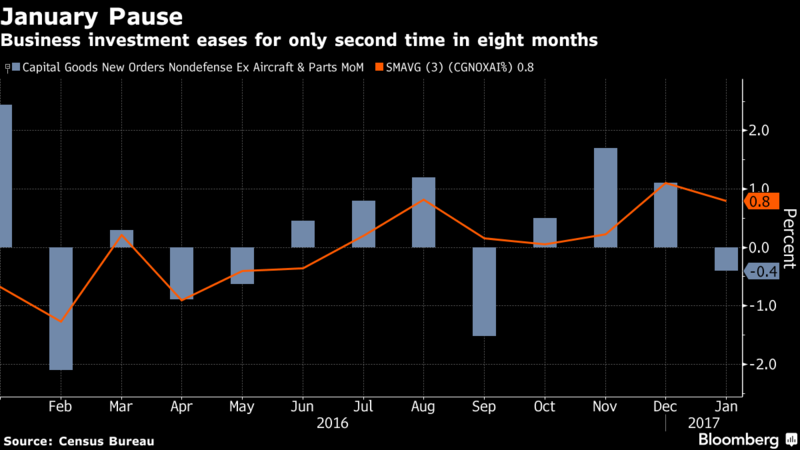 Orders for nondefense capital goods excluding aircraft, i.e. 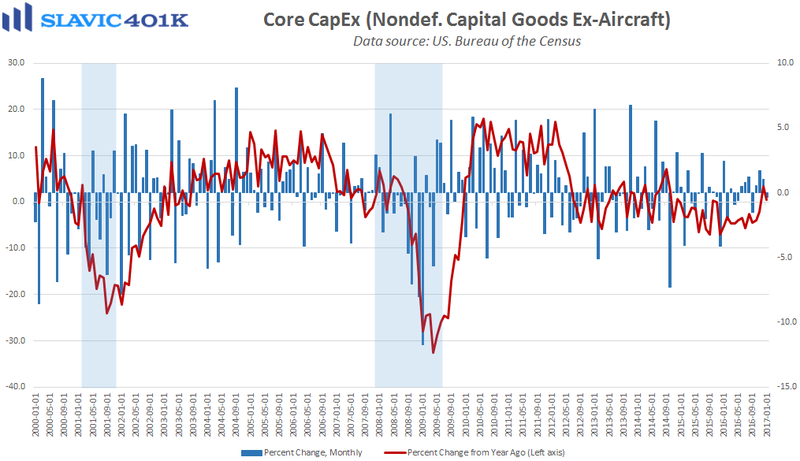 core capital expenditures, an important proxy for U.S. business investment, fell by 0.4 percent in January, the largest decline since September. 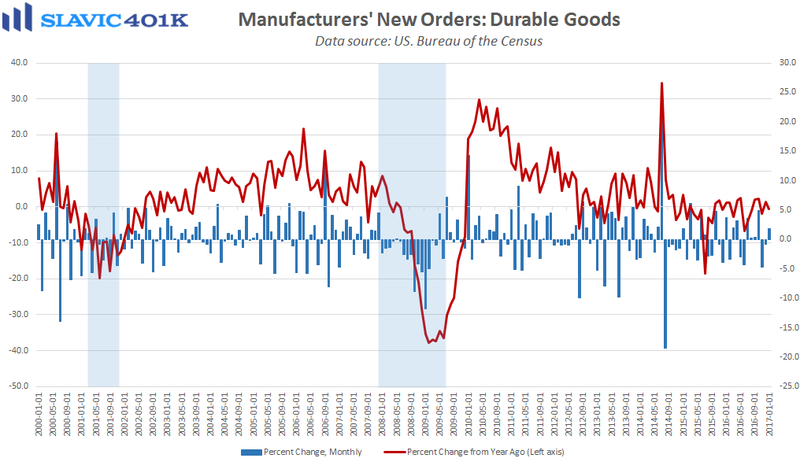 On the bright side, headline growth in durable goods orders could accelerate in the year ahead due to the hike in defense spending proposed by President Trump this morning.